A number of agencies are directly concerned with the management and disposal of pharmaceutical products in medical facilities. This includes the Centers for Medicare and Medicaid, DEA, EPA and the US Food and Drug Administration. Each agency has established guidelines that help to manage pharmaceutical waste disposal that you should be made aware of. Know which federal and state regulations apply to your facility. California regulations are stricter than most federal, so you will want to work closely with a medical waste disposal company that is licensed in the state. They will keep you up to speed on which regulations you need to be paying attention to. Standardize your procedures to meet all government agency requirements pertaining to pharmaceutical waste disposal. This will help in protecting your hospital or medical office from any liability. In order to better protect the community, make sure that you and your staff are aware of any drugs in your facility that are considered a controlled substance. Make sure that these are stored in a secure location that is not accessible by any unauthorized personnel. The EPA has a vested interest in keeping certain drugs from entering the drinking water supply. Stay current on the list of these drugs and make sure that when disposed of, your facility is using separate containers that will be handled exclusively by a properly licensed medical waste disposal company. If your medical facility deals in high quantities of certain drugs, consult with a medical waste disposal company about their proper disposal. Keep careful records and dispose of expired drugs appropriately. An expired pharmaceutical can still be dangerous, both to the environment and your community. Make records of expiration dates and dispose of unusable drugs immediately in accordance with the regulations. Even spilled or contaminated medications need to be disposed of with care. Make sure that all of your employees are trained to know how to effectively clean a liquid medication spill or dispose of tablets that have been contaminated. Prepared medications that are not used in their entirety should be treated as a pharmaceutical and disposed of in the same way as other medicines and drugs. This includes any left over IV solutions or partially injected medications in a syringe. Warfarin, nicotine, arsenic trioxide and physostigmine are drugs that the EPA has deemed require special attention, down to their packaging. If your facility dispenses any of these pharmaceuticals make sure that you and all staff members know the implications. Pharmaceutical waste disposal in a medical setting is a major concern for all. Avoid problems with any number of government agencies by understanding the procedures your facility needs to follow, and partnering with a responsible medical waste disposal firm who can assist in making sure that you are complying with the myriad of regulations. Chemotherapy waste disposal includes a myriad of products and supplies involved in the administration of these life saving drugs. This includes their packaging, and the items used to administer them. Also included could be gowns, gloves and sheets if they were exposed to the drug during administration. Safe handling of chemotherapy waste is crucial for the safety of health workers and patients. Chemotherapy waste is categorized as a hazardous waste because of the chemical properties of the specialized medications. Included in the list of hazardous chemotherapy drugs are arsenic trioxide, daunomycin, melphalan, uracil mustard and more. If your facility is directly involved in providing chemotherapy to patients, there is a good chance that at least one of these hazardous drugs is being used regularly. Any and all waste that has been contaminated through the course of providing chemotherapy will be considered hazardous waste, and must be disposed of in a very specific manner. A medical waste disposal company should be able to provide your facility with the knowledge needed and products required for the safe disposal of chemotherapy related waste. There is a cancer drug repository program which allows a facility to donate chemotherapy drugs that they no longer need. The accepted drugs must be expired for a period of longer than six months and be donated inside of their original packaging that has never been opened. 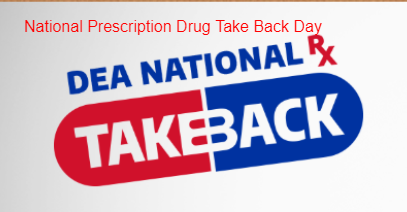 You could also return those drugs to their manufacturer if the container is not leaking and they have not been partially used. Chemotherapy drugs that do not meet the criteria of other of these categories is categorized as hazardous medical waste and will have to be disposed of professionally. Containers used for its storage should be separate from regular medical waste. They must be rigid and puncture proof plastic containers clearly labeled as trace chemotherapy and incinerate only before being stored with other medical facility trash. Soft materials that have been contaminated with chemotherapy drugs can be placed in biohazard bags, so long as they are tear resistant and meet 165 gram resistance to breakage. Sharps used to administer chemotherapy drugs will also have their own separate containers which must be marked for incineration as well. Chemotherapy waste is to be incinerated only once it leaves your facility in the proper biohazard bags. It is extremely important that you properly label all containers holding chemotherapy waste so that it is not mistaken for regular hospital waste and disposed of incorrectly. Doing so could create a serious health threat to the local community. Knowing, understanding, and following the procedures for chemotherapy waste disposal will ensure that it makes its way out of your facility safely, and disposed of properly. Stay up to date on the procedures and provide appropriate education to members of your staff to help in protecting them and the surrounding community.